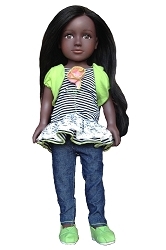 Fall in love instantly with this high-quality, 18 inch adorable doll. She is made of all vinyl, so she can take tubbies and get wet! Her clothes are made of 100% lead-free material because safety comes first. She has pierced ears, so she can wear earrings! Her hair is 100% rooted human hair. It’s durable and looks amazing! Girls of all ages have waited for a doll with hair they can style the same way they do their own hair. Even the most expensive doll’s hair is unruly and hard to manage; it can’t be brushed or curled with a curling iron. Now the frustration of hair play is over! 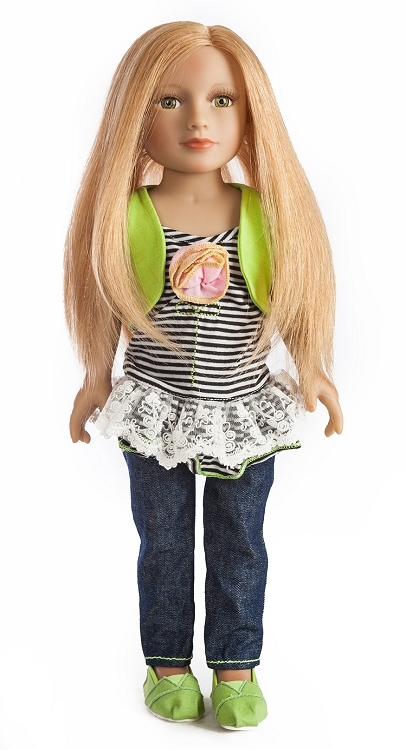 My Salon Doll allows children and parents to make special memories together as they learn and create new, cute hairdos. Curl it, straighten it, crimp it, wash it, blow dry it—whatever you can imagine, you can create. This doll is sure to be cherished for years to come. Hair color may vary slightly. Includes pictured outfit. Copyright My Salon Doll. All Rights Reserved. eCommerce Software by 3dcart.